It doesn’t matter to Austin Dillon that Las Vegas oddsmakers have made him a 50-to-1 shot to win the NASCAR Sprint Cup Series Championship, by far the longest odds among the 12 remaining drivers. After finishing eighth last Sunday at Dover and earning the final transfer spot from the Chase’s Round of 16, Dillon believes his No. 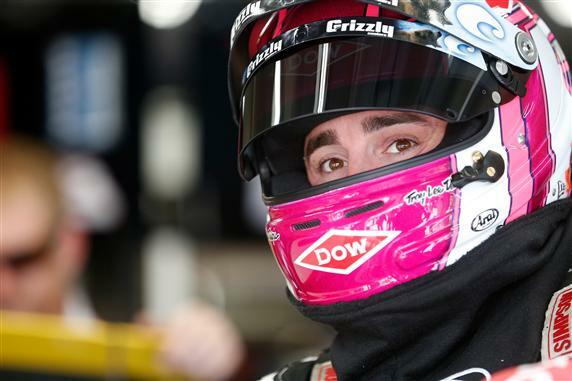 3 Richard Childress Racing Chevrolet has the speed to pull off a surprise in the Round of 12. “Well, we have the least odds in Vegas right now – I just heard that,” Dillon said on Thursday at Charlotte Motor Speedway. “I like this role, because it puts the pressure on the guys that I guess are projected to make it to the next round, whatever projections mean. “Because in racing, I’ve learned real quick that it’s not like any other sport… You just never know what can happen in a race, and you never know what the outcomes… there is so much that goes into every little piece and part of these cars. For the record, Kevin Harvick is the Vegas favorite to win the Chase at 7-to-2 odds (per vegasinsider.com). Martin Truex Jr. is second at 4-to-1 and Jimmie Johnson third at 6-to-1. Previous Article Carl Edwards expects JGR cars to close the gap on Martin Truex Jr.